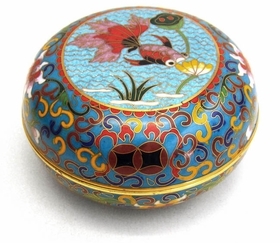 This Chinese cloisonne box is decorated with traditional Chinese goldfish symbol. In the Chinese culture, the fish symbolizes prosperity and wealth. 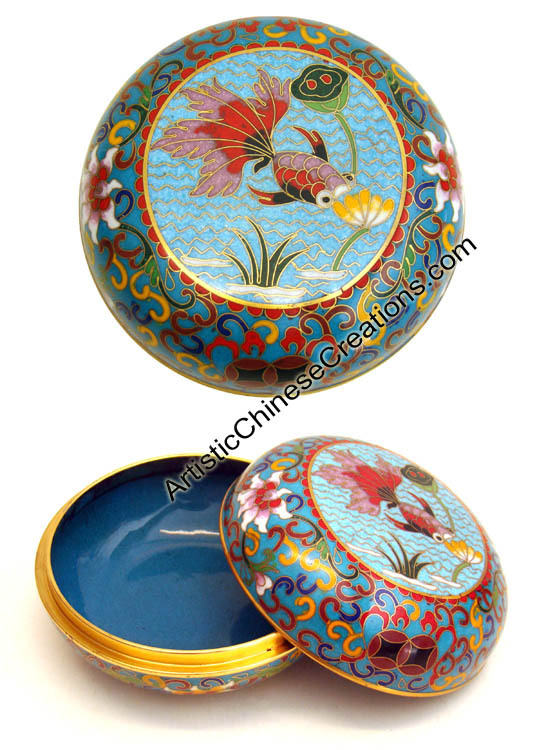 Hand made Chinese Cloisonne box.